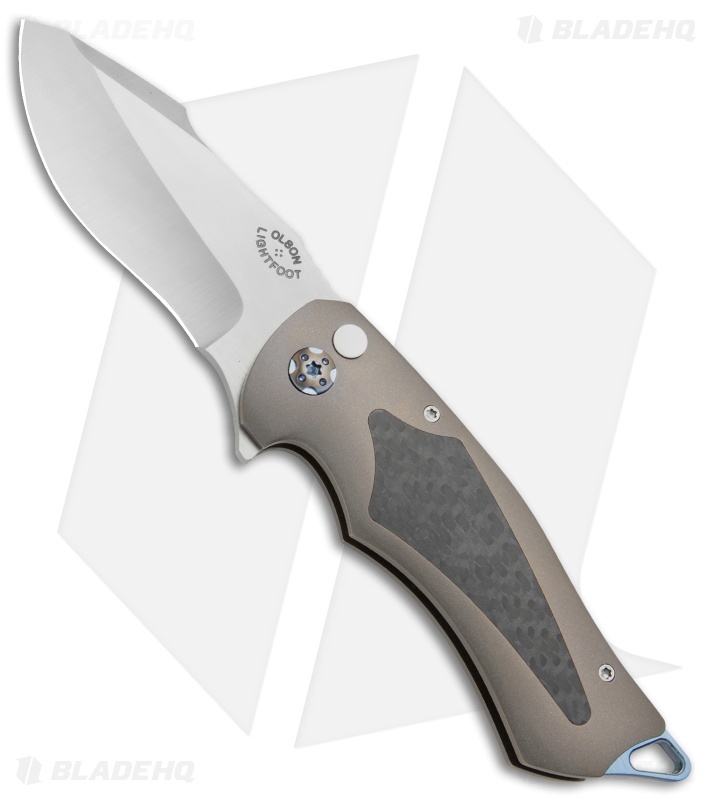 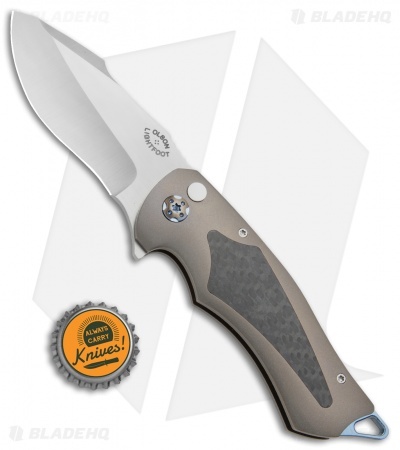 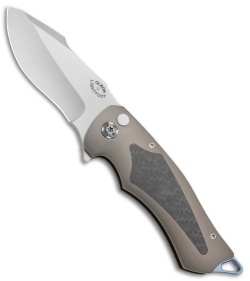 The Outlaw Flipper by Greg Lightfoot is an impressive medium sized folding knife with a solid, ergonomic build. This custom piece features a modified blade made from premium stainless steel with a hollow grind and asymmetrical swedge. Its handle is bronze anodized titanium with carbon fiber inlays over an extended titanium backspacer with a blue anodized finish. 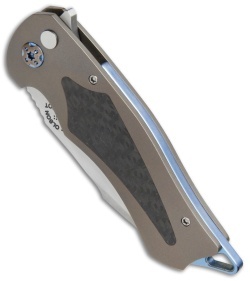 A flipper opener and plunge lock allow easy one-handed operation. 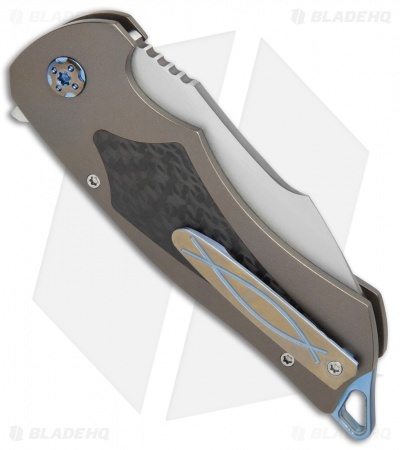 Comes fitted with a bronzed Ti pocket clip with a blue accent.